Drones have the potential to be incredibly valuable to the mosquito control industry for site mapping and pesticide application. Drones can create 3d surveillance maps by flying over a designated area and collecting continuous data. Mosquito Control can use these maps to find pools of standing water perfect for mosquito larvae. These pools have been difficult to find without the aid of drones. Traditionally several individuals would spend hours trekking through sparsely inhabited areas to find such pools and there was no guarantee the pools would be infected at that time. With drones, pools can be mapped and checked routinely for larvae. The drones used for pesticide application will be waterproof so they can land in the pools. Once the drone has landed, it will capture real-time video images to determine whether larvicide application is necessary. These drones are able to carry larvicide to dispense directly within effected areas. Placer County’s Mosquito and Vector Control in California is planning to use drones for surveillance and application this summer. Placer County plans to use drones to map inaccessible areas and apply pesticides at a height of 400 feet or higher. The drones will also measure weather conditions, land in water, pick up and put down traps, and measure water conditions. 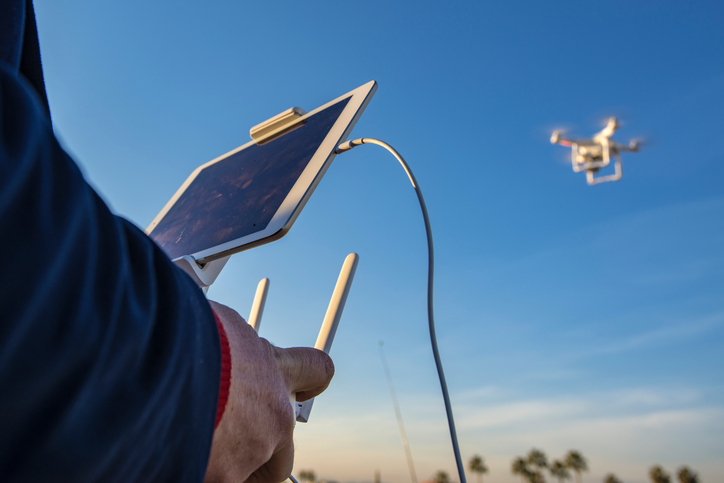 Certified Training Institute offers online FAA Remote Pilot in Command Certification Exam Prep, as well as, online Pesticide Applicator Exam Prep & Continuing Education. Certified’s courses are available 24/7 on any device with internet access. Should you have any questions or IT issues do not hesitate to call or email Certified’s friendly staff. This entry was posted in Drones, Pesticide and tagged drones for mosquito control, drones for pesticide application.